Although the Geneva Democratic and Republican Committees have yet to officially announce their full slate of candidates for the 2019 election, Geneva Believer has the list of the 20 candidates who will be fighting for 9 City Council seats this November. Between now and election day, Geneva Believer will be providing in-depth coverage of all the City Council races, with a sharp focus on where the candidates stand on the key issues facing our city. Geneva Believer extends an invitation to all candidates to sit down and discuss your campaign, views, values, and platforms for 2019. If you are one of the candidates below, please contact Geneva Believer and we’ll schedule a recorded interview so the people of Geneva can get to know you better. The following list contains minimal biographical information about the candidates. Stay tuned for much more information in the coming weeks and months. Gomez is a former member of the Geneva Human Rights Commission. Burrall heads C.S. Burrall & Sons Insurance, a family business in Geneva for 190 years. Mr. Burrall sits on the board of the Geneva Business Improvement District. Pealer is a media production specialist at Finger Lakes Community College. Mallard works for the Geneva Housing Authority as the Occupancy Supervisor for Public Housing. Cass is a retired Geneva Police lieutenant, a former Geneva city councilor and the former Mayor of Geneva. Regan is a photographer and a member of the Smith Center for the Arts Board of Directors. Buisch is currently a teacher aide. Camera is the current Ward 4 Councilor. Housel is a dispatcher with the Ontario County Sheriff’s Department. Salamendra is a local social and environmental activist. 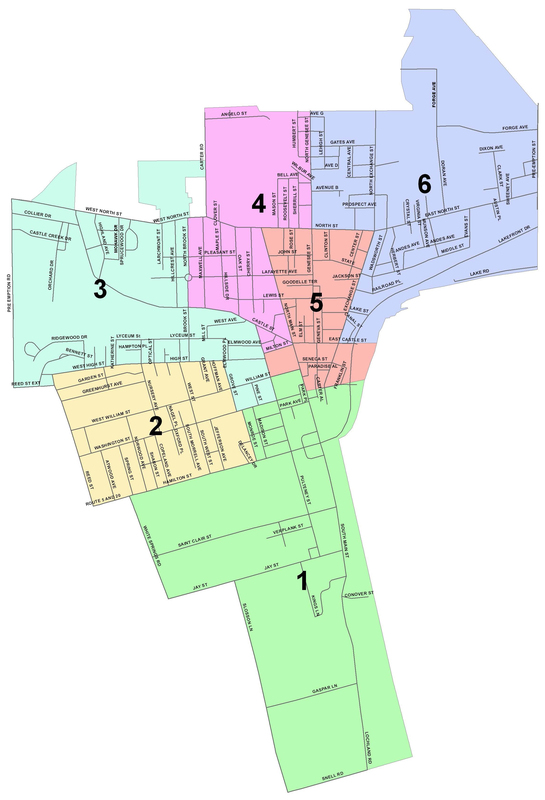 Aikens is a member of the East Lakeview Neighborhood Association and founder of the Ontario County Justice Coalition. Gaglianese is a construction superintendent with Massa Construction. Vasquez is a Waterloo Police officer and member of the Geneva Board of Ethics. Cataldo is a restaurateur and community activist. Noone is a former member of the Seneca Falls School District Board. Pitifer is a counselor in the Waterloo school district, and a coach in the Waterloo and Geneva school districts. Valentino is the current Ward 3 City Councilor.